This dish is named for the city of Madras, now called Chennai which is the capital of South Indian state of Tamil Nadu. 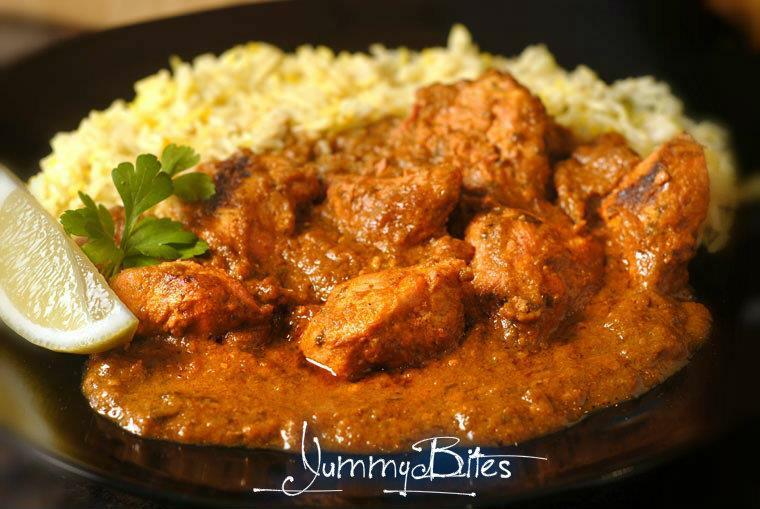 Chicken madras is a very spicy tangy & full of flavor. 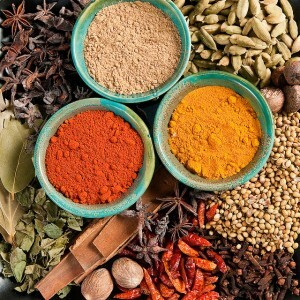 As with all spiced dishes, chicken madras is best made with fresh madras chicken spices to get the complexity and freshness of colours, unique scent and traditional flavor. There fore the most import ingredient of Madras chicken is its powder spice blend of different whole spices, each having specific smell. I have given the basic recipe for this unique spice mix but you can substitute a bought Madras curry paste for the spices here if you are out of any spice but personally, I prefer to use freshly made it would give the real freshness to food. Because, Mot of us not even bother it to use real ingredients, we just put in what we are available with, and at the end we likely to blame the food like "awww...I did a lot of effort to cook it, but the taste isn't coming to my buds like I wanted it to be, there must be problem in recipe for sure" .... right?? Now, its not a big deal to make your food worth of your effort but it just need little more attention, a peak to recipe deeply and to do some tries, before actually evaluating your work. So... for your help, and to get best output below is recipe for basic spice as well. Finally, time to eat You can served it with poppadoms, naan bread, rice and raita it makes a satisfying meal for anyone in need of spicing up your palate. In a dry skillet over very low heat, place the coriander, cumin, mustard, fenugreek, poppy seeds and fennel seeds. Roast the seeds gently, shaking the pan occasionally, until they begin to pop. When about half the seeds have popped, add the cinnamon, peppercorns, nutmeg, cloves, cardamom, turmeric, ginger and cayenne. Continue to heat and stir gently until the mixture is quite hot but not burnt. Pour into a dry blender or food processor, or use a mortar and pestle. Grind into a fine powder. Pour into a clean, dry jar, seal, and let it cool before using. -Brown the chicken pieces in a few tablespoons of oil, then remove them to a warm plate. -Cook the sliced onion in the same pan until softened and translucent. -Add all the spices and cook stirring for two minutes until the fragrance rises. -Return the chicken to the pan and add the lemon juice and coconut milk. -Stir in the tomatoes and bring to the boil then simmer for about 45 minutes. -Serve with rice, poppadoms or naan garnished with chopped fresh coriander. -If using a ready made Madras curry paste use 1-2 tablespoons for a mild flavor, 3 for medium hot and 4 -5 for a hot curry. Add it at the same stage as the ground spices in the recipe above. -You can use home made tomatoes puree of 4-5 tomatoes instead of 1 small tin of tomatoes.